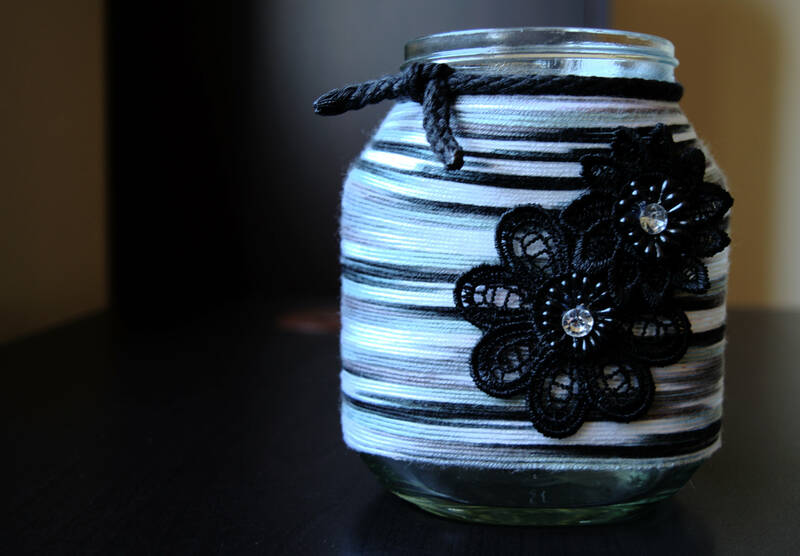 Another hobby of mine is crafting. And this project is one of my favourites. 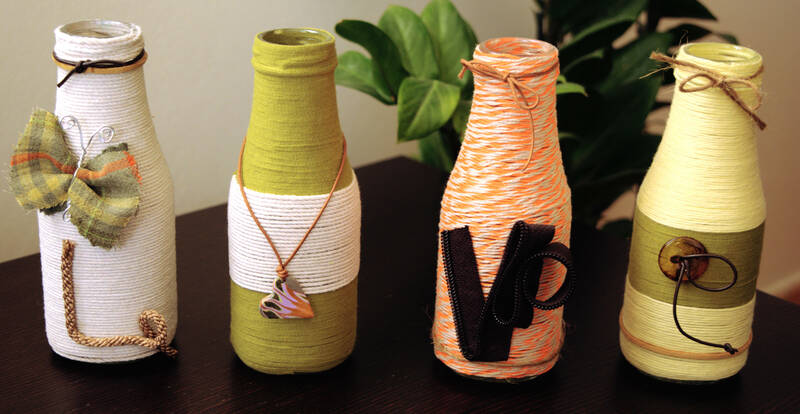 I decorated my living room with these yarn wrapped bottles of ‘LOVE’. We had learned this technique at elementary school in art&craft. It’s probably a kid’s craft so if you have children, this is a another way to spend some creative and quality time with them and have a good time yourself. Plus, It is very easy. Apply the adhesive with the paint brush on the bottle. Start wrapping firmly the thread/yarn around it, until the bottle is completely wrapped. At the end you can decorate your bottle with flowers, letters, butterflies and other things you like. Thanks. I really enjoyed it!